An opportunity for those who missed out on Rimutaka Prison's three-course dinner. 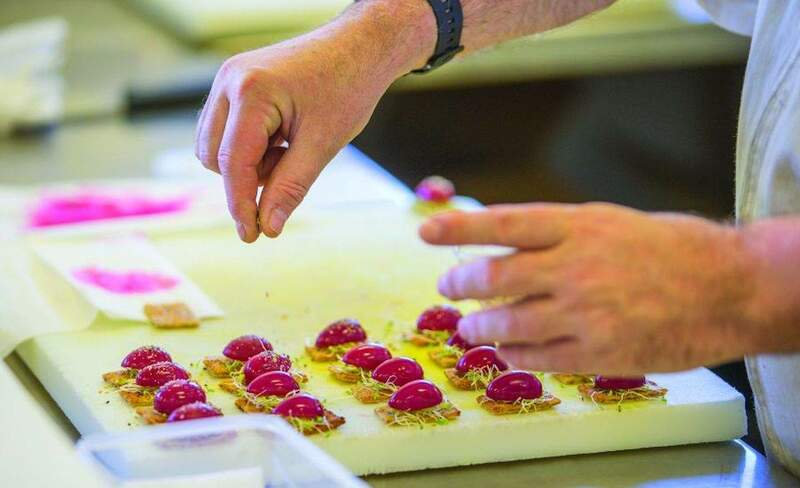 A pop-up for those who missed out on the opportunity to experience food produced by prison chefs as part of Rimutaka Prison's Gate to Plate dinners. The popular Gate to Plate series aims to highlight the hidden talent in New Zealand prisons and what is happening 'behind bars' to train and prepare prisoners upon their release — the highly anticipated three-course meal is prepared and served by prisoners under the tutelage of Martoni Bosley, Monique Fiso and Shepard Elliot. While the ballot for the full experience has closed, the pop-up will allow guests at Wellington On a Plate's Festival Hub enjoy a gourmet takeaway lunch designed and prepared by prisoners from Rimutaka Prison, mentored by Martin Bosley. The experience will not only leave your belly full, but will open your eyes to life behind bars and challenge perceptions on prison life.